Is your child clingy and fussy, refusing to leave your side? 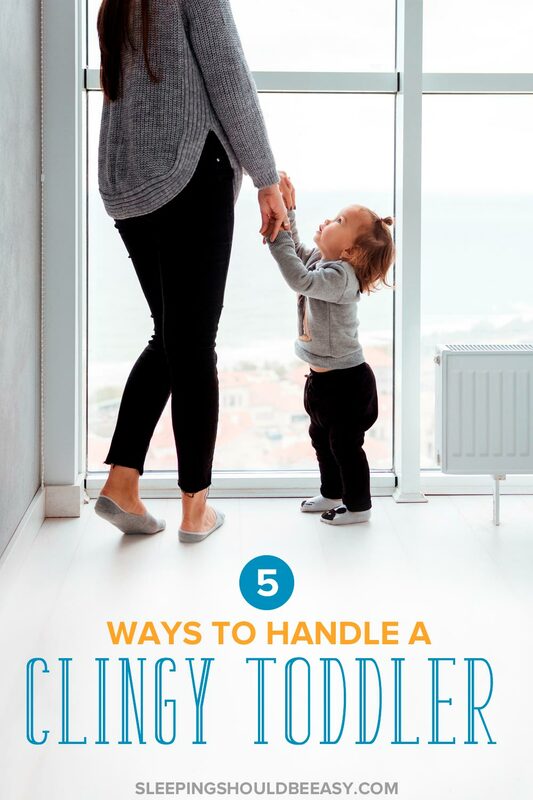 Discover 5 ways to ease your clingy toddler into feeling more comfortable alone or with others. I was getting exasperated with my toddler. He refused to leave my side, even at home, and shadowed me everywhere I went. It was a miracle if I could get a load in the laundry or tackle the dishes in the sink. Socializing with other kids didn’t help at all. Perhaps you can relate. Maybe your toddler is firmly rooted to your lap, refusing to play with other kids. Play dates and parties? Forget it. She wants nothing to do with anyone else but you! During outings, you can’t even get her to play quietly on her own. She wants you nearby, within eyesight, and whines if you’re not. If you do get separated, even if it’s five feet away, the waterworks begin. So, what do you do if your toddler has separation anxiety? Thankfully my story had a happy ending. As with most developmental stages, even challenging ones like a clingy toddler will come to pass. But that doesn’t mean you only sit and wait. You can do plenty to reassure your toddler, ease her separation anxiety and make life much easier for both of you. It’s easy to feel impatient or get upset with your toddler, but managing your response is so important. 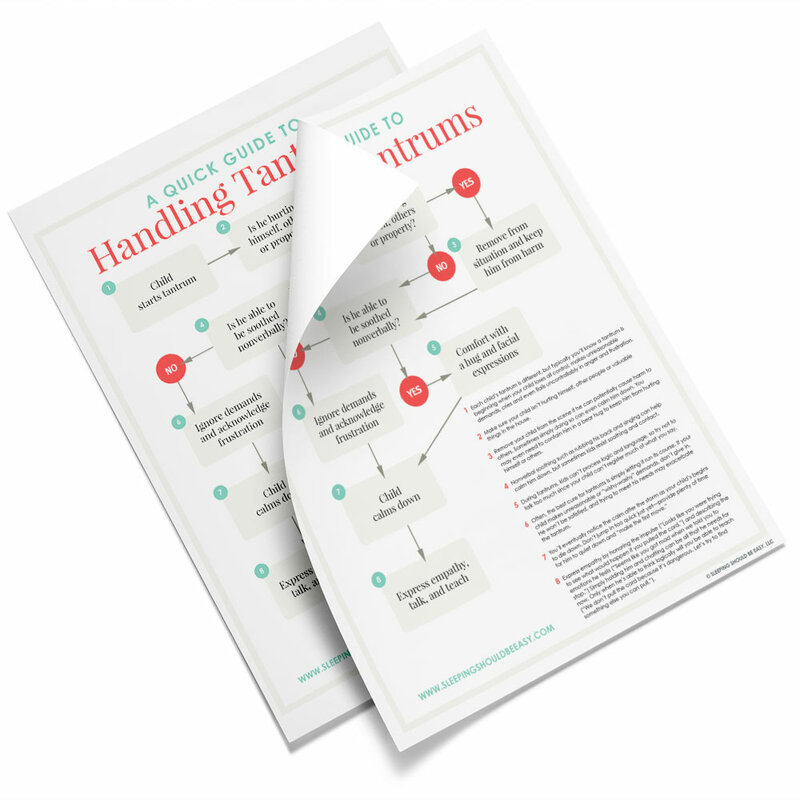 Avoid using a harsh tone, but do hold firm and don’t give in to unrealistic demands. You’re the one in charge of the situation. Acting distressed or making a big deal will only make your toddler feel like there’s something to dread when she’s away from you. Instead, reassure her you’ll always come back (and follow through when you say you will!). Your job is to be confident and reassuring, but firm. And avoid two extremes: sneaking away or making a theatrical show. If she realizes you’ve left without saying goodbye, she’ll be that much clingier the next time because she won’t know if you’ll sneak away again. Meanwhile, making goodbyes a big deal shows her they’re something to fear. A simple “see you later, I love you” and walking out the door should be enough. Your toddler will behave less clingy the more comfortable she is making her own decisions. 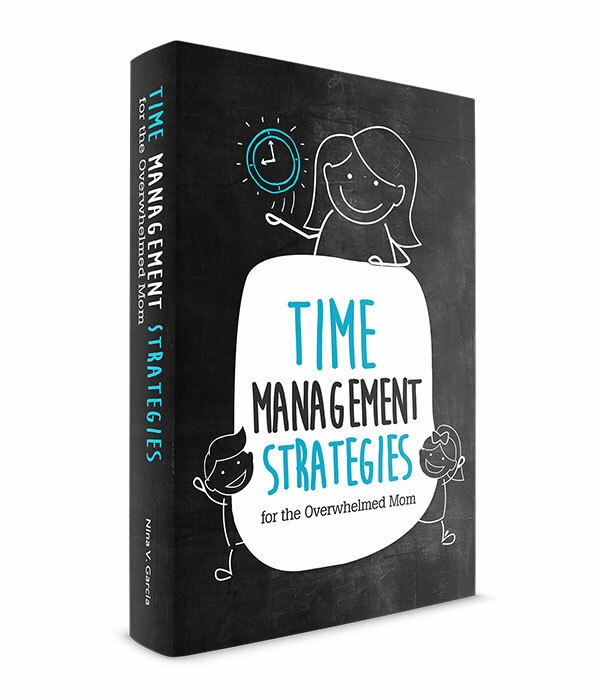 This helps build her confidence to take action without your help all the time. How? Encourage self-sufficiency. Rearrange your home to make it easier to do things on her own. Allow her to make her own snacks and show her where to find them. Make the items accessible in lower drawers instead of hidden and out of reach. Kids love to help. Take advantage by asking them to help around the house! I like to give my boys a rag and ask them to “dust” the furniture. It’s a win-win for both of us. The house gets cleaner, I get a little breathing room, and they feel like they’re contributing to the family. Up to this point, your toddler has grown used to you—and only you. Avoiding others to avert a meltdown may seem like the easier solution, but doing so only reinforces her belief that she should stay with you. Instead, having regular one-on-one time with other people will help your toddler feel less anxious. Schedule a play date with your partner or other trusted adults in her life. Implement a weekly routine like Saturday afternoons with grandma or daily baths with dad. Encourage her to get used to being with other people besides you. Because it’s in stretching her a notch above her comfort zone that will ease her into feeling comfortable with others. The only way she can get used to being away from you is if she has the opportunity to do so. Our kids seem to behave extra clingy and attached for no reason, don’t they? They might’ve been fine all along when, out of nowhere, they refuse to leave our side. All those months of independence and being fine with others are gone, just like that. Except I’ve found that many times, their behavior is tied to changes at home, both big and small. Take stock of what’s going on around you for any changes at home. Did she recently start a new school? Have you been working longer hours? Is she sick? Any of these factors can impact her behavior. Your toddler may not be able to explain that she feels anxious about adjusting to school—instead, she clings to your side and throws a tantrum. Digging deep into changes at home that can be contributing to her behavior will help you be more patient and empathetic when she has a meltdown. Your toddler isn’t trying to be difficult. Growing up is hard! He’s learning how to deal with big emotions without the full vocabulary to talk about how he feels. Never punish him for his separation anxiety or push him to mingle when he doesn’t feel like it. Instead, acknowledge how he feels and reassure him that everyone feels this way sometimes. That you would also feel the same if you were in his shoes. Don’t make him feel ashamed for having a hard time being away from you or not playing with other kids. I remember my third-grade teacher telling my mom I was a good student, except that I was “shy.” She made it sound like a bad thing, which it isn’t. Introspective kids have rich imaginations and are able to see things in a colorful, creative way. Make your toddler feel heard and understood—the world can be a scary place. You’re his comfort. Validate his feelings and become his biggest cheerleader so he’ll be able to flourish on his own. Clinginess can be tough to handle, especially if you need a break. Ease your toddler into feeling comfortable with other people. Be reassuring, but firm and encourage him to try things on her own. Think about any looming life changes that are making it hard for her to separate. Pencil in time for her to play with other children and adults. And above all, make her feel heard and supported. Continue to build on a strong relationship, conveying your confidence in her whenever you’re apart. It’ll go a long way in helping her become the independent toddler she can be. Tell me in the comments: What is your biggest struggle with your clingy toddler? I am going through really tough time and hoping if you could provide me with some guidance. I am mother to a strong-willed 2.5 year old girl. She was super-clingy to me (literally like glue) from the age 15 months to around 2 years. She would not go to other people, did not play on her own at all, wanted me to sit with her all the time and was horrible at social gatherings. Slowly things got better at her second birthday, she became very social, going to even strangers, playing on her own, letting me cook and do household chores and even letting me go to work without much fuss. I finally saw light at the end of a dark, long tunnel. But since last 1 month, things have gone downhill alarmingly. My daughter is back to square one. Does not play on her own at all, cries crazy when I leave the room, follows me around like shadow, even in parks and social events, clings to my side, does not let her dad bathe her (which she loved earlier), has started shying from people she has known all her life and has loved to the core. Lately she talks like a baby and tells me that she is not a big girl but is a baby. If I am even a little stern with her, she says mumma say you love me and keeps on repeating it even after I have said it 10 times. At home or in parks, she asks me to pick her up and carry her all the time. She cries inconsolably when I leave for work or when she goes to preschool. I get live feed of her school and do not see anything wrong over there. At school, she takes about half an hour to settle before participating in games/ activities.Every evening, she cries for me at school half an hour before our usual pick up time. I am really worried. While everyone is telling me it is a phase, I feel like she has been through this phase earlier! She overcame it! Why is it happening again? And why my girl? I feel horrible to say that I dread alone time with her as she drives me crazy. Do you have any advise on this? Does she need consultation? My husband thinks she doesn’t and that she will grow out of this phase. I am finding it difficult to be patient. I can definitely see why you’re finding it difficult to be patient! And it seems like you’ve checked all that you could and can’t seem to pinpoint it. I would speak to her teachers to see how she behaves in class after you’ve gone. See if she’s miserable the whole day, or if she’s able to adjust eventually. I would also ask her pediatrician to see if he or she has any recommendations, especially based on her history or any other signs that they might be able to tell. From a basic overview, I would see if you could put your foot down and not entertain her whims and fancies. For instance, if it’s dad’s turn to bathe her, then it’s dad’s turn to bathe, even if she’s crying the whole time. Otherwise, she learns two bad messages: first, that she can throw a fit and eventually you’ll cave in, and second, that she’ll start to believe that it IS right for only you to bathe her and no one else. Hopefully it IS a phase, and that by being consistent and putting your foot down, she can begin to feel less clingy. You might also want to praise her for any little thing she does that shows signs of independence, so she learns that this is behavior you encourage. Hi Alexandria! It’s understandable she’s being more and more clingy because like you said you continue to hold her when she wants it, even when it may not be a good time for it. She’s grown used to the habit and the expectation that she’ll be held because the habits are there to reinforce it. I would let her know that there are times when you can’t or won’t hold her, so that she can also explore on her own and learn how to cope with disappointment and learn to self-regulate.